Gingerbread reminds me of the holidays and Grandma’s kitchen. 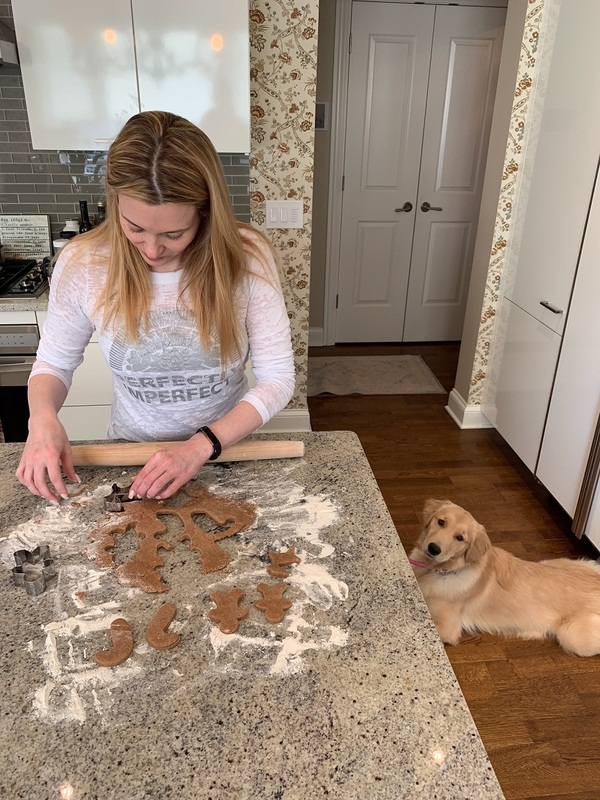 This recipe is a perfect holiday treat for your pup. It is also great to make at other times of the year for doggies who have digestive issues. Gatsby gets car sick and ginger has been super helpful when we travel long distances. 2. In a large bowl, mix the flour, ginger, cinnamon and cloves together. In a separate bowl, combine the honey, water and coconut oil. 3. Pour the wet ingredients into the flour and stir until well combined. Note that you may need to add a little more water depending on the humidity level in your home. 4. On a lightly floured surface (use all-purpose flour), roll out the dough until it is about 1/2 inch thick. 6. 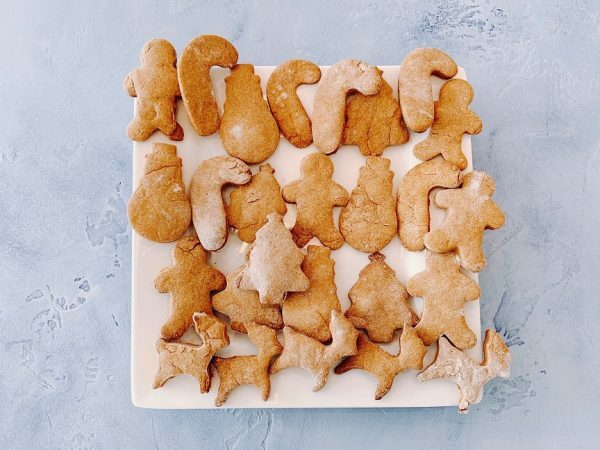 Use holiday cookie cutters to form into desired shapes. 7. Place cookies on the baking sheets, spacing cookies about 1/2 inch apart. 8. Bake the cookies for approximately 20 minutes and then let cool on a wire rack.